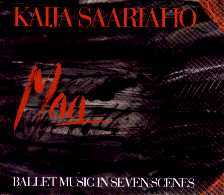 Kaija Saariaho (b. 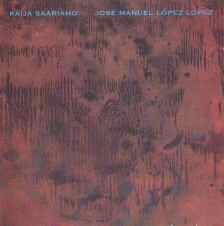 19S2) studied visual arts at the University of Industrial Art (now the University of Art and Design) in Helsinki before going on to study composition at the Sibelius Academy with Paavo Heininen from 1976 to 1981. In 1981-1982, she studied composition with Brian Ferneyhough and Klaus Huber in Freiburg. She has lived in Paris since 1982, frequently working at IRCAM. 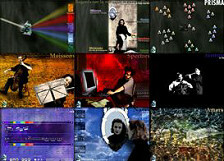 From the 1980s on, Saariaho's music has been performed around the world. Many noted institutions have commissioned compositions from her, including the Finnish National Opera, the BBC, IRCAM, the Lincoln Center in New York and the Salzburg Festival. She has received numerous international awards including the Kranichsteiner Musikpreis in Darmstadt in 1986, the Prix Italia in 1988 for Stilleben and the Ars Electronica prize in 1989 for Stilleben and Io. 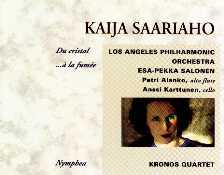 "PRISMA, Discovering today's music through the work of Kaija Saariaho / A la d´couverte de la musique contemporaine à travers l'oeuvre de Kaija Saariaho" cd-rom. PRISMA is a new multimedia object, pedagogic as well as playful and creative, which through the work of a particular composer, allows the music lover or the newcomer, regardless of their prior knowledge of music, to enrich their knowledge on the composition of our time. Prisma is one of the very first cd-roms dedicated to a contemporary composer exploring questions linked to musical creation. Instrumental writing, its interpretation, and the use of computers for composition, are entry points which allow insights in today's music while discovering the work of Kaija Saariaho. Can be viewed on PC and Macintosh computers and is available both in English and French versions. "Cellitude" by Jean-Baptiste Barrière, an enhanced-cd (cd-rom & audio-cd), with Anssi Karttunen, cello, & Pierre-Jean-Bouyer, images. A music-video work based on a performance for cello, images and sounds processed by computer. 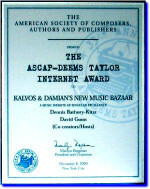 Can be viewed and listened to on PC or Macintosh computers, or listened to only on a CD-player.